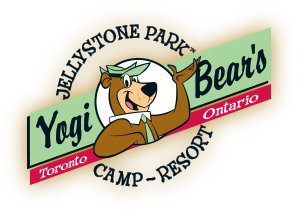 For your Information: Jellystone Park™ is privately owned and operated, but the Park is patrolled by the South Simcoe Police. For everyone's safety and security, the police are authorized to enforce the laws of the land. Please do your part to ensure a safe and happy camping experience for all. If you have any questions or concerns about these rules, please read about vehicles in the park or visit our Frequently Asked Questions. You are also always welcome to contact us directly for any specific questions you have. We'll have your campsite clean and ready for your family to check into by 2:00 p.m. on the day of your arrival. In order to ensure every camper gets a clean campsite at check-in, please ensure you have completed your check-out by 11:00 a.m. on the day you'll be leaving us. Additional fees may be incurred before or after these times if you do not comply. Want to spend some extra time camping with us? Please re-register the day before if you decide to stay an additional night to reserve your site, and be aware that previous reservations will have priority. Please set up in the middle of your assigned campsite so that you're not infringing on your neighbours, as sites around you may be reserved by other campers. Each campsite can accommodate a maximum of one family with up to 6 people, and one camping unit per site. - Protect our trees by not stripping or cutting branches or hanging anything from them. - Portable BBQ's are not to be placed on tables or benches provided by Jellystone Park. - Please use our tables for only the purpose for which they were designed. - You are entitled to use only the hookups, table, and fire pit allocated to your registered campsite. - Additional tables and services are available for an extra fee. - Carpets and decks will damage the grass on your campsite so please do not use them. - Ensure slide outs do not open onto the neighbouring site(s). - Do not use the awning on trailer rentals. You will be held financially responsible for any damages to Park property. Camping is an outdoor experience. Refunds are not given due to acts or discomforts of nature. 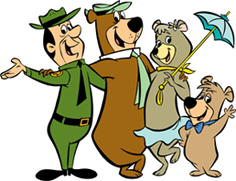 To respect campers of all ages, quiet hours for all campsites are enforced from 9:00 p.m. to 9:00 a.m. Please do not play loud radios, stereos, or make disruptive noise at anytime. The use of generators is not permitted other than in designated overflow areas. Campfires are limited to the in ground fire pits at your campsite, and must be tended by an adult at all times. Bonfires are not allowed. Please be sure campfires are doused and completely out before retiring or leaving the campground. All campfires must be extinguished by 11:00 p.m.
Firewood is available for purchase. Please do not bring or use your own firewood in our park. Please be aware that transporting your own firewood into the park is illegal and any firewood used must be purchased at the Ranger Station. This prevents the spread of the destructive emerald ash borer beetle. We provide fire pits and clean-out service on the basis that our guests purchase their firewood from our camp store. Our firewood is all-natural, split from solid wood logs, completely free of dangerous wood pests, nails, and chemical contaminants. It is safe for the cooking of food, and the environment. Pets are allowed at Jellystone Park, but they must be kept on a leash or confined to sites at all times, and are not to be left unattended at any time. Barking dogs disturb neighbours, so the authorities will be called if a dog is left unattended and barking. You can exercise pets along the perimeter fence lines around the lagoon area, not on or around other people's sites. A "Stoop and Scoop" policy is in effect at all times, in all locations. Whenever possible, pet owners should have their pets relieve themselves on their own site, and residue should be picked up immediately and urine spots watered. Pets are not permitted in buildings, swimming pool area, playground, rental units, or mini-putt areas. 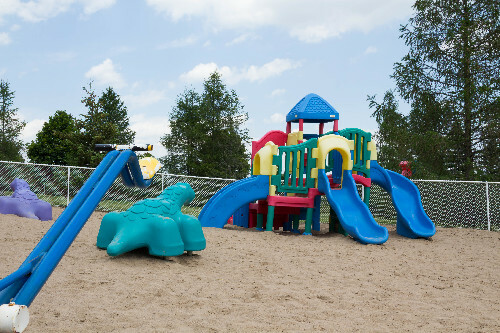 Jellystone Park is designed for use by our registered campers. All visitors must be registered at the office, and a fee for each visitor and vehicle applies. All visitors must wear a wristband and display their vehicle tag visibly. Visitors are allowed between the hours of 9:00 AM and 9:00 PM. As a registered camper, you are responsible for the actions and behaviour of your guests. Please refrain from hanging anything from our trees. Clotheslines can be dangerous, so please don't be offended if you return to your site to find your clothesline taken down. This is a safety precaution to protect all of our campers. Please put out only kitchen trash. Please bag all of your trash and dispose of it in the trash container most convenient to your site or leave it at the end of your site for daily pick-up. Small, 1lb, empty propane canisters can be left beside any garbage bin in the park for daily pick-up, to be disposed of properly. Please put cigarette butts and litter in designated containers. Grey water and sewage must be disposed of in the appropriate sanitary sewer facilities provided. Department of Health and Environment regulations do not allow for disposal in any other way. We provide a sewage disposal station at no additional cost to registered campers, and sites with private sewage disposal hookups are also available. Do not rinse dishes or bathe at site faucets. Vehicle and trailer washing is NOT permitted in the park at any time, under any circumstances. Alcoholic beverages, enjoyed in moderation, are limited to your registered camping site. Open display of alcohol and containers is discouraged, so please use plastic containers or cans. Alcohol is prohibited in the pool area, and any other area that is not your registered camping site. There is no smoking permitted in any building, pool area, or mini-putt golf area. Please use the disposal containers located at all buildings on the premises. Please do not litter. Please keep your valuables locked up and out of sight when not in use. Don't let a dishonest person spoil your vacation. Please report vehicles without I.D. passes displayed. Vandalism, rowdiness, drunkenness, disrespectful, or disorderly behaviour, including profane language, will not be tolerated. Fireworks, firearms, motorized trail bikes are not allowed at any time, under any circumstances. The Park management has the right to evict or refuse admission to anyone not abiding by these rules without refund. Anyone on the property MUST have a wristband. You are required to wear your wristband at all times throughout your stay. Wristbands not only help us keep track of who is in the park, but they allow you access to all of the amenities that our park has to offer. Routine checks by staff members will be made during your stay to ensure all guests are wearing a wristband. Wristbands ensure the security, safety and enjoyment of your stay! Parents or the responsible guardian will be held accountable for their children's actions. Children must be supervised at all times during your stay. Day passes are valid from 9:00 AM to 9:00 PM and must report to the Ranger Station to register themselves and their vehicle(s). Day pass guests will be allowed use of the day pass area beside the pool. For your comfort and convenience, only campers with reservations will b admitted to the park after 11:00 PM. After 12:00 AM we will not admit anyone into the park who has not previously registered and set up their campsite. We will not admit any vehicles in the camping area between midnight and 8:00 AM. You may leave your vehicle in the parking lot at the main entrance. The laundry room is open 24 hours (in season) or as otherwise posted. Children must be accompanied by an adult at all times. Children must be accompanied by an adult at all times. No smoking is permitted in any building. Loitering is not allowed. Please report any item that needs attention to the office. Unregistered visitors and vehicles are not allowed. All visitors must be registered at the office. A fee for each visitor and vehicle applies. Please display coloured I.D. passes in the windshield of your vehicle at all times while on park property. Registered campers are responsible for the actions and behaviour of their guests. The pool is open 9:00 AM to 8:00 PM, in season, weather permitting. There is no lifeguard on duty. Children under 12 years of age are not allowed within the pool enclosure unless accompanied by a parent or his agent who is not less than 16 years of age. Proper swimwear is required in pool area. No jeans or cut-offs. No food, glass, inflatable toys, or smoking is allowed in the pool area. Please be courteous to others, there is NO reserving of pool chairs at any time. The fenced in sewage lagoons are off limits to campers. Bicycles /pedal karts are to be ridden slowly and with care along the roadways. Helmets are required. No bicycles / pedal karts after dusk. The last pedal kart will be rented out no later than 7:30 PM. Please do not park your bicycle or pedal kart rentals in car parking spaces, empty lots / sites, or sidewalks. Bicycles and pedal karts are not to be used on RV Lane at any time as this is a high traffic area. Off road vehicles of any kind are not permitted to operate on the property. Those who decide to stay fewer nights than paid for at check-in will incur a cancellation fee that is 50% of the remaining stay. Customer service must be notified by 11:00 AM. If notice of early departure is given after 11:00 AM, nightly rate for the remaining stay is retained. Camping is an outdoor experience. We cannot give discounts, credits or refunds due to inclement weather. Parking is permitted at your site. One vehicle is allowed per site. If your vehicle will not fit, parking is available in the designated areas only. Parking on vacant sites will result in a fee. The maximum speed limit is 10 KM (5 MPH) and is strictly enforced. Please watch for children. 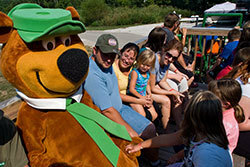 Jellystone Park is privately owned and operated. The Park is patrolled by the South Simcoe Police, who are authorized to enforce the laws of the land.